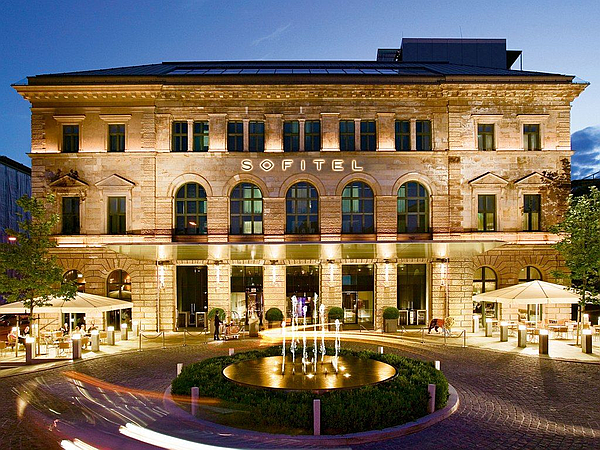 History meets modernity at Sofitel Munich Bayerpost, a contemporary design hotel in Munich's former Bavarian Royal Post Office. Set in the vibrant heart of Munich, the hotel's luxury rooms, suites, restaurants and meeting venues welcome guests from all over the globe. Munich is a bustling modern city with a generous heart and a deep sense of tradition. Revel in the Bavarian capital's lively blend of art and culture, history and modernity. Explore beer gardens, the Allianz Arena, Oktoberfest and Hofbräuhaus – perhaps with a city tour arranged by our concierge. Browse shops where traditional Dirndl costumes are side by side with designer brands.